For the first time ever there were four Fight Night Combat tournaments in a single weekend, and all the results are in! The smallest tournament took place at the Tropical Islands Invasion, with only seven jugglers entering. The reduced lineup was quite strong though, with three former Fight Night winners: Remi de Vos (Brianza 2013), Alex Leymann (Magdeburg 2015) and Niklas Aumüller (Rostock 2014). The winner on Saturday? None of the above. Martin Schwalenberg won 125 rankings points for defeating Remi in the final after knocking out Alex in the semi-finals. The theme of first time winners continues through the other three tournaments. 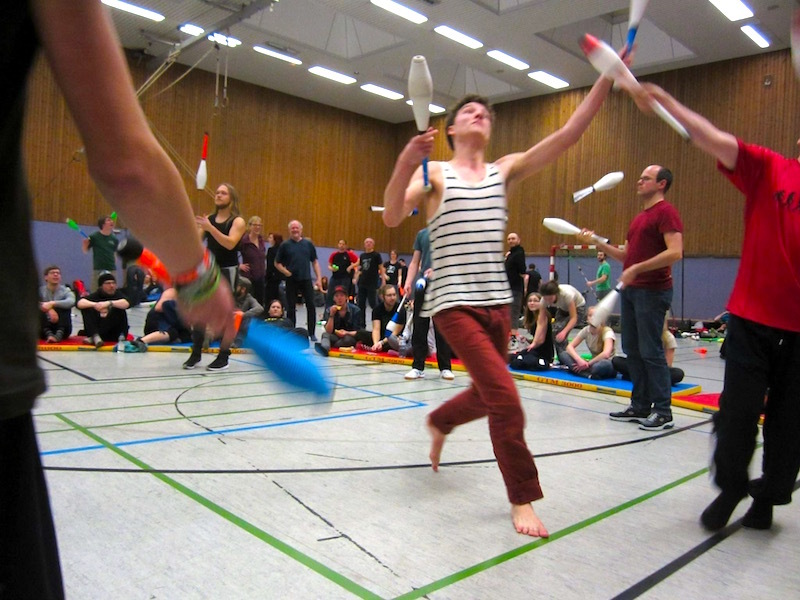 One reason fewer jugglers took part in the Tropical Islands tournament this year was another juggling convention in Germany taking place at the same time. Havixbeck Combacktion 2016 hosted its first Fight Night and 11 jugglers took part. Jochen Hänsel reached the final at the Tropical Islands Invasion last year, but lost by a single point to Luke Burrage. Exactly a year later, Jochen reached the final again in Havixbeck... but lost by a single point to Rob van Heijst. Rob earned 200 rankings points in his first title in 17 Fight Nights, which is the longest stretch before a first victory in FNC history. There is only one other juggler who has taken part in more tournaments without an overall win: Jochen Hänsel, at 22 Fight Nights and no titles. Meanwhile, Northern Ireland had its first ever Fight Night at the Belfast Juggling Convention. Due to it being held on Sunday, the top ranked player, Jon Peat, had to leave to catch a plane, even though he had gone unbeaten in qualifications. This left a field of 15 jugglers with only one previous Fight Night winner remaining: Stephen McGinley (Galway 2015). Stephen was knocked out in the round of eight by Fight Night regular Asaf More, but even Asaf only managed fourth overall. The top three places went to jugglers all taking part in their first ever Fight Night: Edward Horner was third, Caoimhin Browne second, and Oisin Carroll won 250 rankings points for his first place finish. 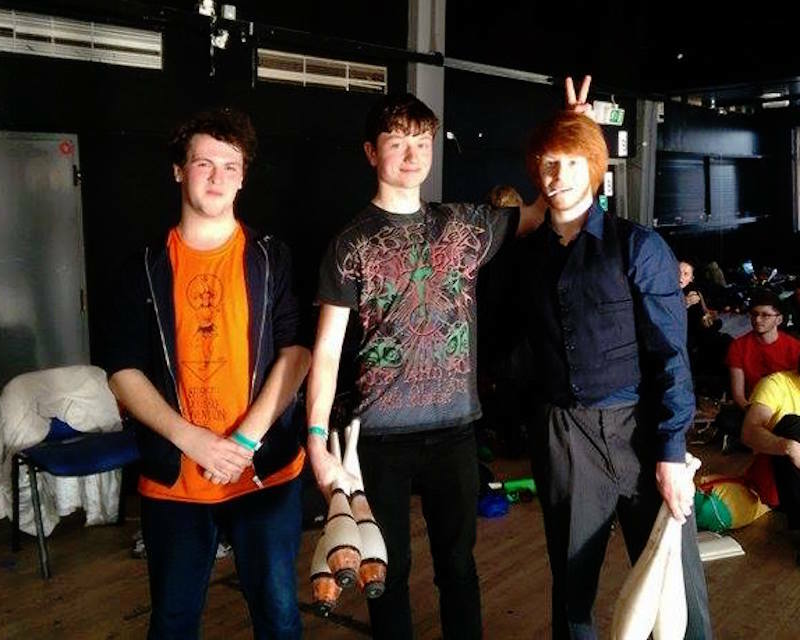 Finally, the largest tournament over the weekend was at the Brno Juggling Convention, where 21 players entered the first ever combat tournament in the Czech Republic. Artur Perskawiec leveled up his head-to-head record with his biggest rival at just the right time, beating Jakub Szwed in the final match. Artur earned himself 250 rankings points. Jakub's second place finish lifted him back up to number one in the 2016 race rankings. Now, after the first eight tournaments in the 2016 season, there are eight different champions. Who will be the first to win their second title?